COLLAPSIBLE: The lantern turns on by pulling up and turns off by pushing down. With brightness adjustable, you could pull it out to expose as much lights as needed. 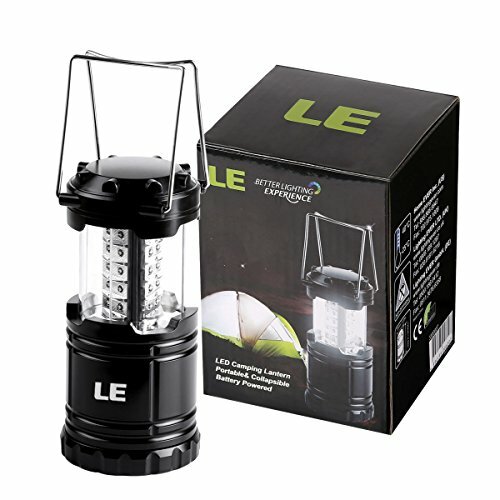 PORTABLE: This lantern with 14hrs continuous lighting allows you to carry it to any place where you need a handy light. 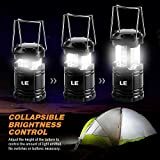 Being collapsible, it helps to protect your lantern during transport or while traveling, and it also does not take up much room in your bag. DURABLE: It’s in elegant shape and durable use by adopting engineering plastic and baking varnish. 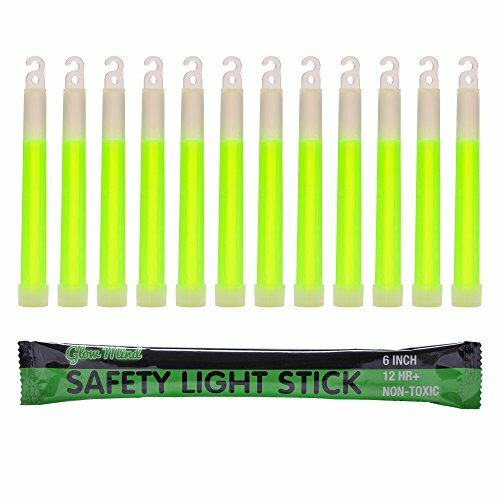 Say, it is suitable for camping, fishing, walking the dog, emergency usage, outdoors or other activities. You don’t have to find a button to press at midnight, all by a pulling to turn on/off the light. You’ll be able to pull it up and it turns on, push it back down and it turns off or adjust the amount of light by how much you pull it up. 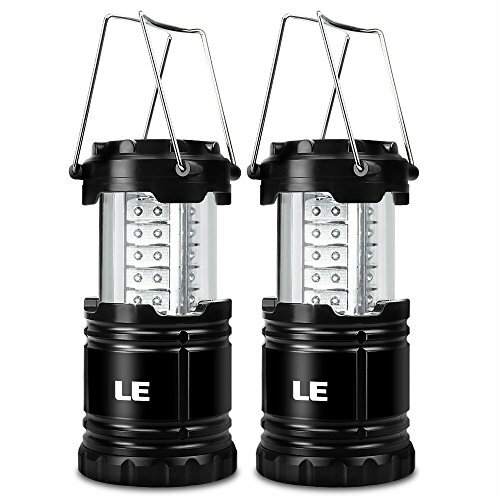 Being collapsible, this little camping light doesn’t take up much room in your camping gear, closet or storage bin. 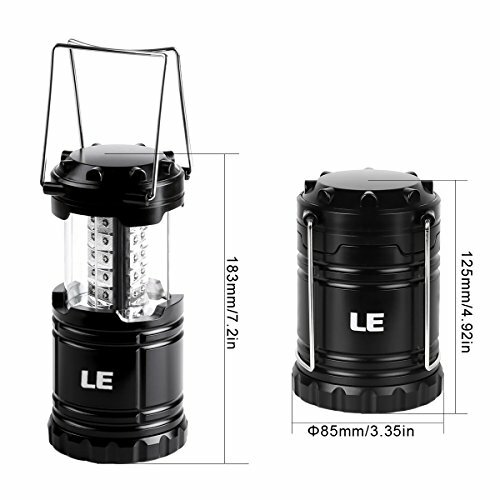 This feature is also going to give protection to your lantern right through transport or whilst traveling. 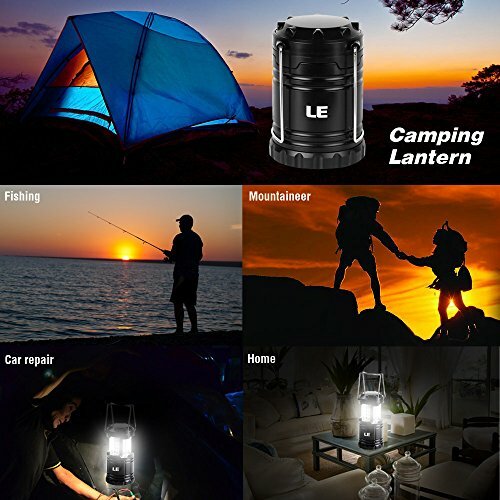 With 30 qualified LEDs and 140 lumen and 360° lighting angle, this handy light gives off pretty bright light, which perfectly suitable for camping, fishing, walking the dog, emergency usage or other activities. 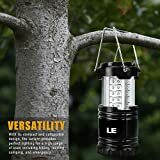 The sturdy metal handles on top of the light are large enough to hook onto branches, nails, hooks, etc., making it much more flexible. You’ll be able to hang it on a tree for camping or fishing, or just use it in your backyard for extra lighting. This is the handy lamp you’ll have when the power goes off. If you have the light in your hands, you just have to pull to get light and you don’t have to fumble for a switch at midnight. 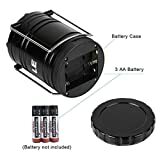 This portable light uses 3 AA batteries（not included） as power supply, which enables you to carry the light to anywhere where you want a bright handy light. And with the 3 AA batteries, the light could keep working for almost 14hrs. It’s in elegant shape and durable use by adopting engineering grade plastic and baking finish. 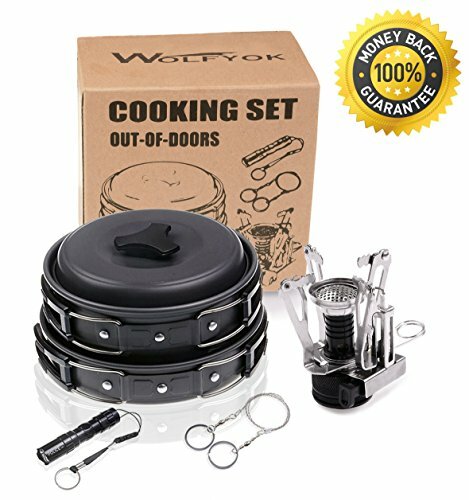 Say, for camping, hiking, outdoor or emergency usage, etc. Lighting EVER, abbreviated to LE, specializes in creating the best lighting experience. 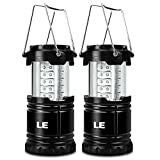 PORTABLE: This lantern with 14hrs continuous lighting lets you carry it to any place where you want a handy light. Being collapsible, it helps to give protection to your lantern right through transport or whilst traveling, and it also does not take up much room in your bag. ENOUGH BRIGHTNESS: With 30 LEDs and 140 lumen and 360° light, this handy light gives off pretty bright light and lights up a tent or a room extremely well. HANGING FUNCTION AVAILABLE: There are sturdy metal handles on top of the light for carrying or hanging, making it much more flexible. You’ll be able to hang it and pull it all the way up to recuperate light when lighting up a big area.